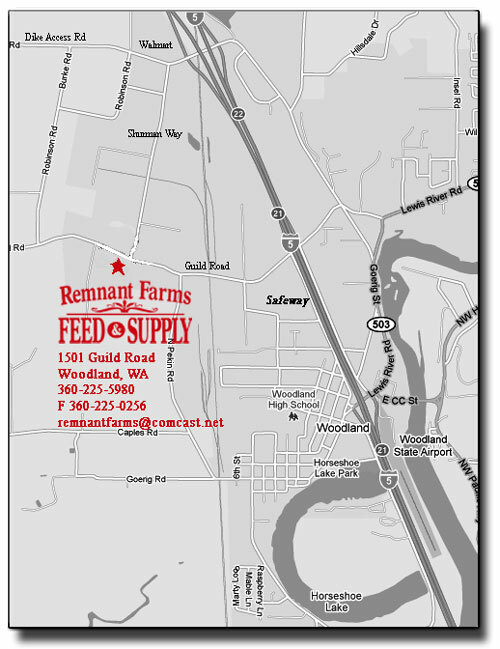 Remnant Farms Feed and Supply is located just a short drive west of the Safeway in Woodland. Follow Pacific Ave north to W Scott Ave, cross the railroad tracks and Scott becomes Guild Rd. We are on the left side of the road. 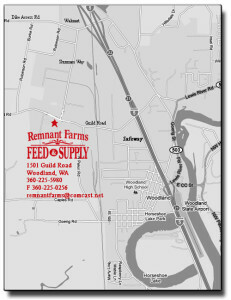 If your coming from Walmart, just head south on Schurman Way and we are easily found at the stop sign.